How To Make Money In Nigeria: HOW TO START MINI IMPORTATION BUSINESS IN NIGERIA. HOW TO START MINI IMPORTATION BUSINESS IN NIGERIA. 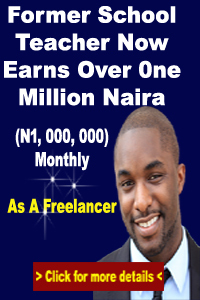 Are you unemployed and thinking of how to earn a living even with a meagre amount of money? Are you considering of how to start importation business in Nigeria even with your little money? Well, I wish to inform you that you are now in the right place as I will show you all you need to do to start importation business in Nigeria with as low as ten thousand (10,000) naira only and completely transform your life for the better. Yes, you read that right. With just five thousand naira you can start importing things into the country and obviously become one of the importers in Nigeria. Now, I would not want to limit this piece on how to start importation in Nigeria with just 10,000 as you can invest even more into it, and I will tell you how. You can import mobile phones, computers, tablets, kitchen utensils, office equipment, home appliances, clothes, shoes, bags, electronics, toiletries and other things you may wish to import at amazing prices. I guess you will be wondering how possible that is – relax, until you are done reading this and I bet you’ll be glad you did. Please note that importation can also take place on large scale but I will be focusing mainly on small scale because that is my area of interest. Mini importation business in Nigeria has grown over the years and if you are on this post today, it is because you are looking for a comprehensive and sincere guide on How to start a Mini Importation Business in Nigeria. Now pay attention as I take you on a journey of how to start importation business in Nigeria. I will disclose some steps on to start mini importation in Nigeria. Follow these steps to Start Importation Business in Nigeria. This article will show you how to start up a Mini Importation business in Nigeria with as little as N10,000 Naira. As an intended importer there must be an area of business that interests you. Yes, remember that you will have to sell most of the things you will be importing. Therefore, you must devise a means to sell them. Think of how to seamlessly create a market for your new products. Also, you can think of how to develop people’s interests towards the things you will be importing. You can learn how to make enough sales by linking with affiliate marketer. Do you wish to import mobile phones and computers? Do you have people you can easily sell them to? These are very important questions you have to ask yourself as well as answer before embarking on this venture. Now that you have been able to answer these questions, you can now progress into the next stage of how to start importation business in Nigeria. If you do not have a domiciliary account which is very rare not to have among many Nigerian youths in 21st Century, you have to open one for yourself. This will enable you buy things online and sell to interested buyers with huge discounts that will make them ask for more of such products from you. After opening your bank account, ask that it is activated on the Internet so that you can do Internet banking. Some transactions will require you to have a transaction token for additional online transaction security and MasterCard/Visa card. So, you must request for them. Therefore, as a beginner who is interested in how to start importation business in Nigeria, you must have a functional bank account linked to the Internet. When you are done doing this, move to the next step. Apart from domiciliary account, some banks such as Zenith Bank and GTBank do give MasterCard Debit card to their savings account customers. You can still use this card to make online purchase. Note: there are a lot of ways of making money. There are better and easy way like affiliate market which more profitable and than mini importation which. 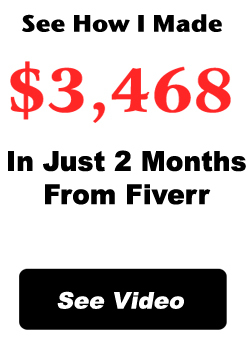 Learn how to make money online here. Search the foreign online shops and create an account with them. I am not here to tell you about eBay and Amazon, no! I believe you already know those ones and they sell their goods at almost the same prices Nigerian brick and mortar shops and other online platforms sell theirs. Visit Amazon.com create an account with them. But before that, also ensure you have a functional email address. Ensure that you carefully put in the details of your name that you used in bank account. This information will be important for banks to accredit the accounts of the online malls. Note that Nigerian banks will not honor your request to pay these online companies if there is a difference between the spellings of the names you used to open your bank account and the name you used while signing up on the online mall website. As I have explained in this piece on how to start importation business in Nigeria, you must strictly follow these rules to the letter. I trust that anyone who is business inclined will like to check this out. You can get brand new laptops for twenty thousand naira on the websites listed above. Imagine having to buy a laptop for twenty thousand and reselling at thirty or forty thousand naira. click here to learn more about affiliate market www.affiliatejagaban.com/p/jagaban.html. Nice one sir, God bless you abundantly.